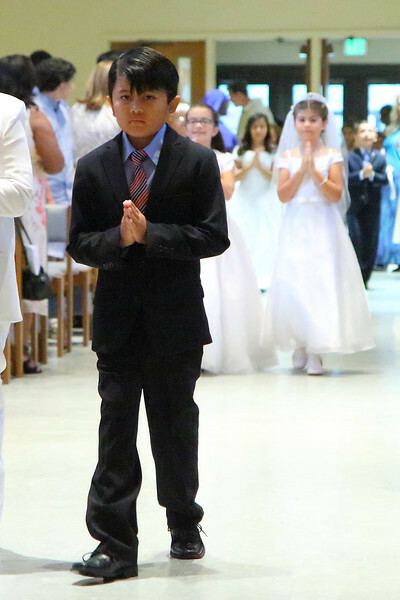 My son's first reception of the Sacrament of the Holy Eucharist is cause for celebration and of course, formal pictures. Along with many Catholic 2nd graders with their excited parents, the hunt for proper attire began with frantic visits to the children section at local department stores. After repeated attempts at multiple locations for the correct garment size, the online heavens parted and blessed us with convenient delivery to our home. This is truly a Blessed Sacrament. Reconciliation finished. Sacrament of the Altar completed. 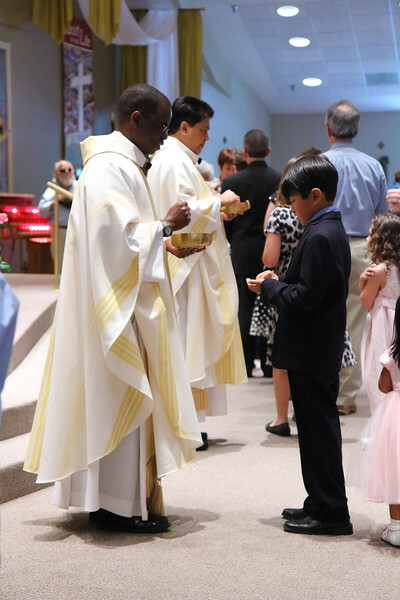 This communicant is well on his way for his rite of passage until his future confirmation. Assigned seating in the third row gave me an opportune view for this unobstructed perfect shot at ISO 3200 with my trusty Canon EOS Rebel SL1/100D. Divine Intervention strikes again! If you look closely at paintings of the Last Supper in Filipino households, you can see a succulent whole roasted Lechon pig with crispy skin on the table with Jesus and his Apostles. 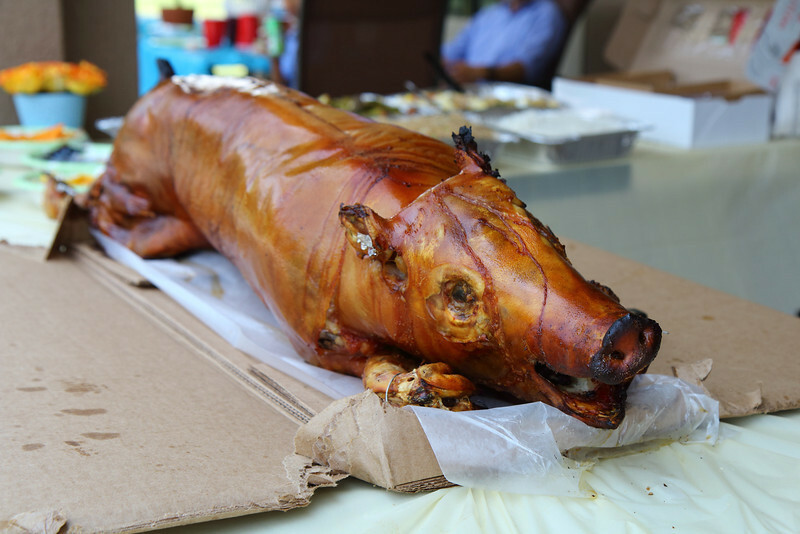 The Lord's Supper and my son's First Communion Reception are not complete without the national dish of suckling swine of the Philippines and Puerto Rico. Unlike this one, many rites of passage are not a true and straight path. There will be many obstacles sight unseen in your future. Doubt will be cast and certainly authority questioned until you are well past an adult. It will all make sense later. Your journey will not be alone. 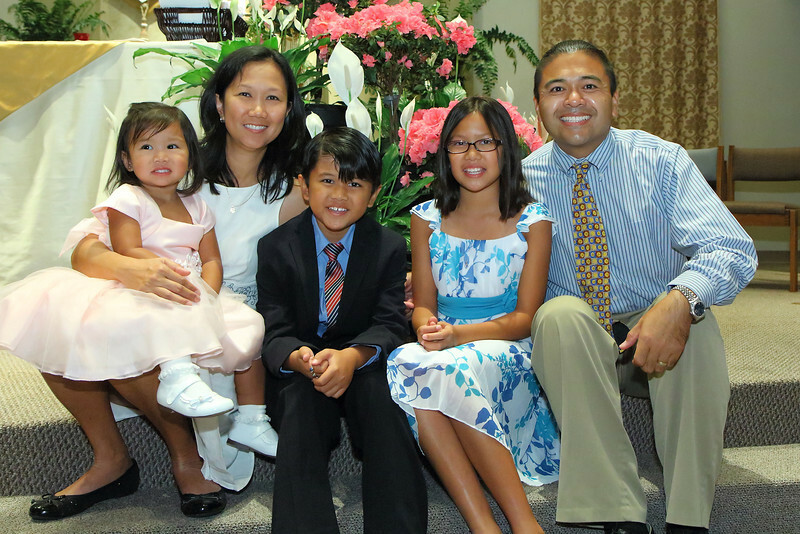 This much photographed family will guide you like your gracious unleavened host on this perfect happy day. Like all similes, please don't eat us. No fancy studio lights and digital cameras here in my First Holy Communion photo shoot, just a Polaroid Instamatic Land Camera with harsh flash bulb lighting. 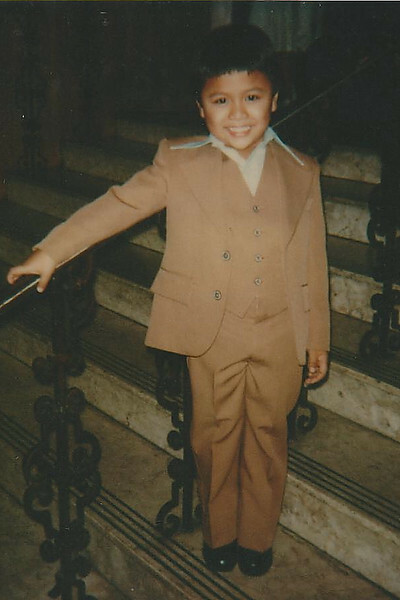 Check out my over sized lapels on my brown leisure suit ! I was "Stylin" in my day ! Chad Soriano brings more than 20 years of experience as a television news photojournalist and still camera photographer. Chad worked at Tampa’s Fox Television station, WTVT. His primary role there was in the special projects, consumer investigation unit. His assignments ranged from general news to consumer fraud. His skills in news gathering and camera-work combine to create a strong tool in developing and promoting a unique visual style.